From the left navigation menu hover over 'APIs' then click Connections. 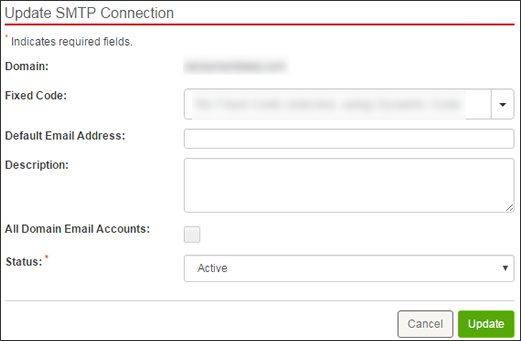 From the SMTP connections screen, click the desired SMTP connection domain name (located on the left side). Modify the settings (e.g., Fixed code, Default Email Address, Status, etc.) as desired then click Update.